One of the brightest minds in the universe, world-renowned physicist Stephen Hawking has died aged 76. “We are deeply saddened that our beloved father passed away today. He was a great scientist and an extraordinary man whose work and legacy will live on for many years. His courage and persistence with his brilliance and humour inspired people across the world. Hawking’s published research and book A Brief History of Time cemented him as one of the most important figures in the modern scientific community, with his contributions in the fields of cosmology, theoretical physics and mathematics changing the face of the science many times over. His life was itself the subject of a film, The Theory of Everything, based on the book Travelling to Infinity: My Life with Stephen by his ex-wife Jane Hawking, which dealt with their romantic relationship and his diagnosis of amyotrophic lateral sclerosis, also known as Lou Gehrig’s disease or motor neuron disease. Featuring Eddie Redmayne as the famed physicist, the film was a critical and box office success, earning numerous Academy Award nominations. Hawking’s diagnosis of ALS came in 1963 when he was 21. Doctors predicted at the time he would live for another two years after his diagnosis. Over the years, Hawking’s physical abilities worsened, and he began using crutches regularly in the 60s. 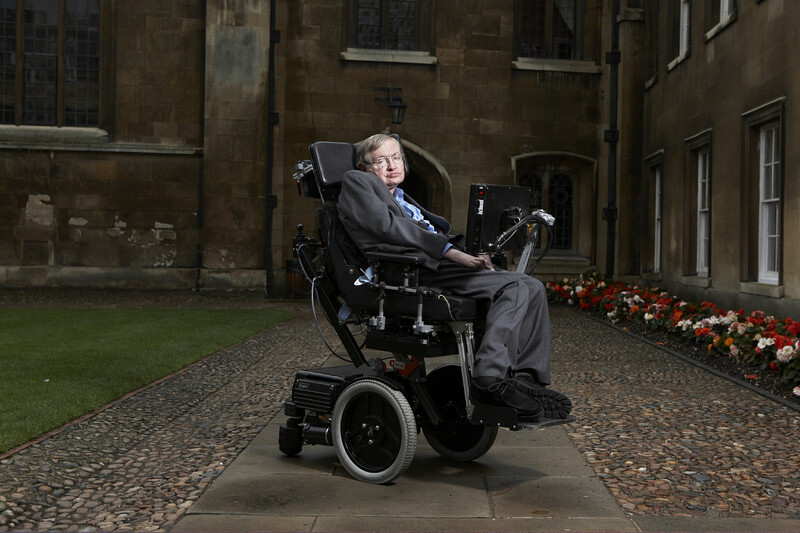 Despite much resistance, said by his wife to be because of his fierce independence and occasional “obstinance,” Hawking began using a wheelchair at the end of the 1960s. He was well known around Oxford for the boy racer-esque way in which he drove his wheelchair. It was in the 70s that Hawking began losing his ability to communicate verbally and after a bout of life-threatening pneumonia in 1985 which required him to have a tracheotomy that would take away his ability to speak entirely. 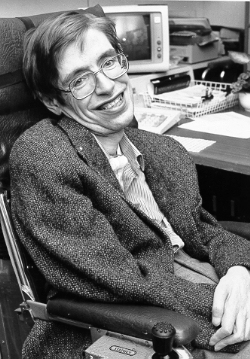 Although Hawking used a number of speech synthesisers, he kept the same American accented voice throughout, which became associated with him.